Vacation rental house. 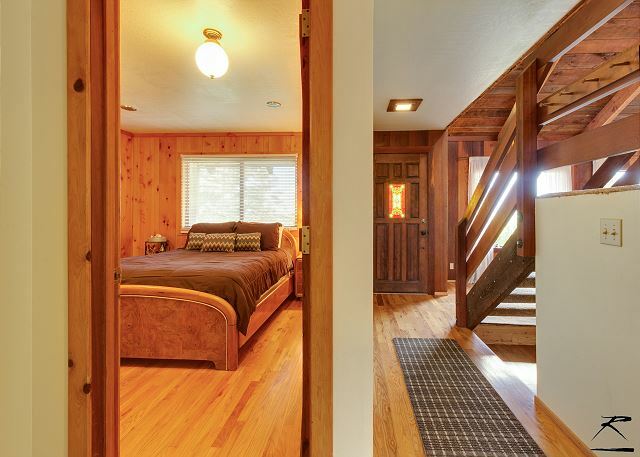 Sleeps 8, 4 bedrooms, 2 bathrooms. Dogs allowed. 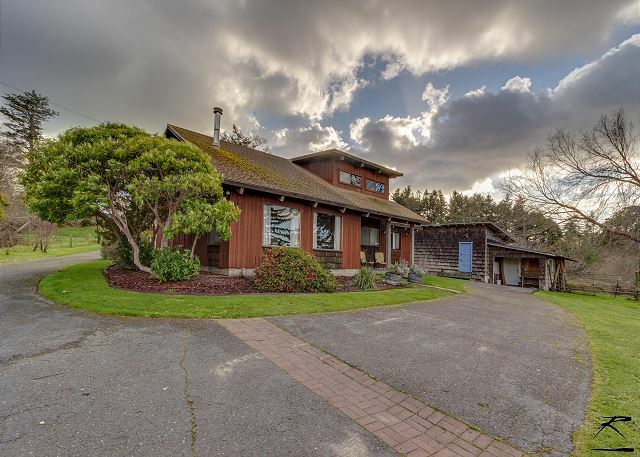 Beautiful Pasture & Bay Views from this 2100 Sq Ft, Two Story, 4 bedroom Country Cabin located on a country road in between Arcata & Eureka. 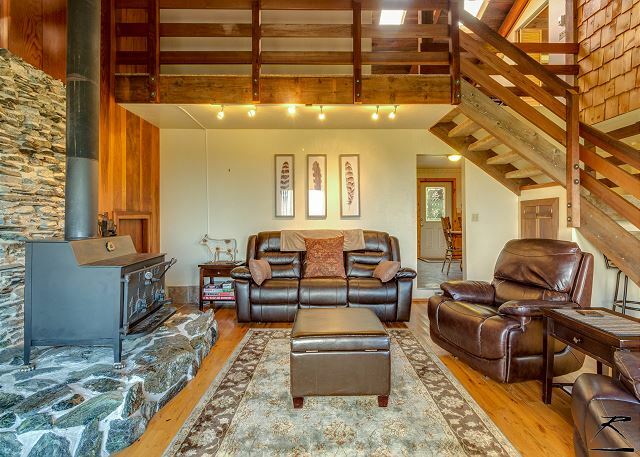 Big living room with wood stove, 2 bedrooms, kitchen and dining room on first floor and two bedrooms and open den upstairs. Enjoy the big field out front and the private back yard with big area for sitting and eating outside and a nice BBQ. We have 4 queen beds, 2-twins and a futon-full size. The views are really wonderful, including the beautiful coastal birds soaring above. Perfect location for visitng Eureka (3 minutes away) or Arcata & Humboldt State University (10 minutes to the north) & the Arcata Plaza for plenty of shopping, eating, and drinking, and entertainment options, and 40 minutes North to Trinidad and it's beautiufl beaches. McKinleyville and the Little River State Beach and Clam Beach are only 30 minutes away. And, of course, Redwoods! There are wonderful hiking and biking trails in the Redwood Park by the Zoo in Eureka and also through the Arcata Redwood Community Forest & Park (great playground too and disc golf course) and Prairie Creek Redwood National Park is about 45 minutes to the North with over 100 miles of trails through the Redwoods and on the Coast. On your way up to Prairie Creek Redwood National Park you will pass through the Humboldt Lagoons which area wonderful destination to explore, and don't forget about Tall Trees & Lady Bird Johnson Redwood Hiking Trails. The house in Myrtletown was more than we were expecting. The house has a great layout with plenty of space. The yard is well kept with lots of comfortable places to sit and enjoy the weather and view. The view is the biggy at this rental. It is peaceful and expansive. We all enjoyed this rental and hope to return again one day. We also hope to have you return to Big Cabin and Pasture! 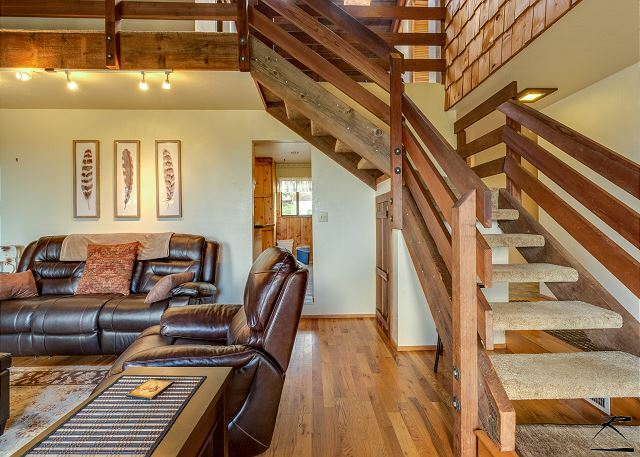 It's the perfect spot for a large family or any group to stretch out and enjoy some R&R after exploring the redwood and it's pet friendly so you can bring all the family members! Thank you for you review, we appreciate you taking time to leave some feedback. Please look us up at Redwood Coast Vacation Rentals when planning your next trip to the North Coast! Stayed during some rain and the house was so cozy for the family! Thank you Redwood Coast Vacation Rentals! Thanks for your review of Big Cabin and Pasture. I'm very happy it was a good fit for you and your family! We look forward to having you come back and stay with us again with over 120+ properties there is something for everyone! Look us up at Redwood Coast Vacation Rentals when planning your next vacation on the North Coast! And thanks again for the feedback. We enjoyed this lovely home. It had everything we needed for a Thanksgiving weekend near the redwoods. Amenities needed were close by, food, pubs and the ocean. Thank you for leaving a review of Big Cabin and Pasture! We would love to have you back again. The views are gorgeous, especially around sundown. Please look us up at Redwood Coast Vacation Rentals when planning your next trip to the North Coast, with over 120 properties, there is something for everyone! Beautiful older home full of character and charm! House is exactly described, very clean and well maintained. We had everything we needed and more! Beds were comfortable though we didn’t use the upstairs bedrooms as it was just 2 of us and our Goldendoodle! The grounds and yard were beautiful, perfect in fact! We loved our stay and will most definitely be back next Year! Booking and checkout were seamless, management is great. Thank you! Thanks so much Lisa! We appreciate you taking the time to leave a review of Big Cabin with Pasture. It has incredible views, feels remote but is close to all services, if you even want to leave the property! Please look us up at Redwood Coast Vacation Rentals when planning your next trip to the North Coast, with over 120 properties, there's something for everyone! Thanks again Lisa. This place was SO AWESOME! I can't say enough good things!! 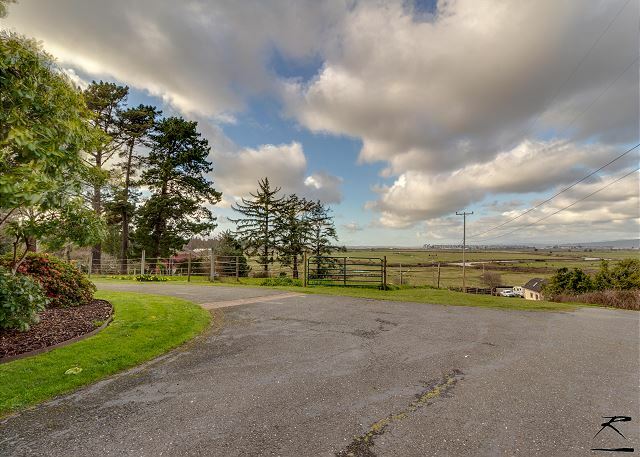 The views are incredible and the location is close to Eureka, Arcata, etc. but you still feel like you are far away from the hustle and bustle of town. The house was very clean and well stocked with kitchen essentials, clean and cozy linens, games, movies, etc. We didn't have a single issue with the property and we had such a great trip. Thank you to the property management for keeping this place so nice. We will definitely be back!!! So happy you loved Big Cabin with Pasture as much as you did! We would love to have you back anytime, so please look us up at Redwood Coast Vacation Rentals when planning your next trip to the North Coast! And thanks again for taking time to leave us such a nice review, it really does make us very happy. Our group appreciated that this property is dog friendly, back off from the highway, and close to our event. We will definitely return next year, but will bring wine glasses (there was only 1! ), ziplocks, foil, and plastic wrap. Great view! Thank you fo rthe review, I will purchase some additional wine glasses and pantry items, ASAP. Thank you for letting us know. We appreciate you taking time to leave a review, and we look forward to your return to Big Cabin with Pasture soon! Please look us up at Redwood Coast Vacation Rentals when planning your next trip to the North Coast! The Big Cabin with Pasture & Bay Views was perfect for our family reunion. Clean, comfortable, great location with an incredible view of the meadows and bay. We loved how the view would change throughout the day. The kitchen was well equipped with everything that we needed to fix our meals (could have used more wine glasses.) BBQ on the back porch was appreciated. The supplied firewood made for a cozy fire in the charming pot bellied fireplace. Thanks for taking time to leave a review of Big Cabin and Pasture!I'll get some more wine glasses ASAP, thank you for the feedback! We would love to have you back again soon, please look us up at Redwood Coast Vacation Rentals when planning your next visit! The home/cabin was beautiful. Plenty of room and gorgeous views. Will will definitely rent again. My only complaint was that my dad and brother both had a fall. But I reported it right away and I’m sure it will be taken care of. Renee, thank you for letting us know right away, and we are going to do a few things to highlight the step down into the living room so no other guests have to experience a fall, and I'm so glad no one was seriously injured. We appreciate feedback for this very reason, so we can constantly improve on our guests experience, and make sure they are safe as well. We would love to have you back again, please look us up at Redwood Coast Vacation Rentals when planning your next trip to the North Coast! 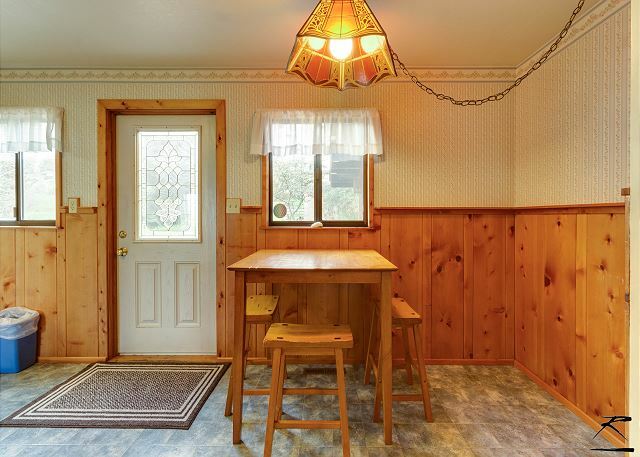 Peaceful, Spacious, Awesome Ranch House! We loved our time at this property. 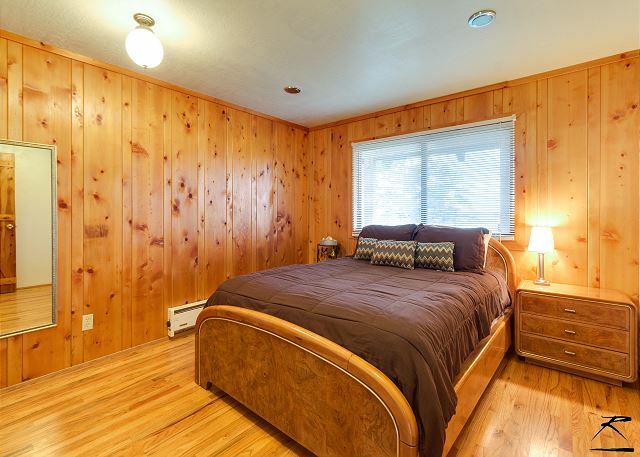 Lots of room for the kids and super comfortable beds. 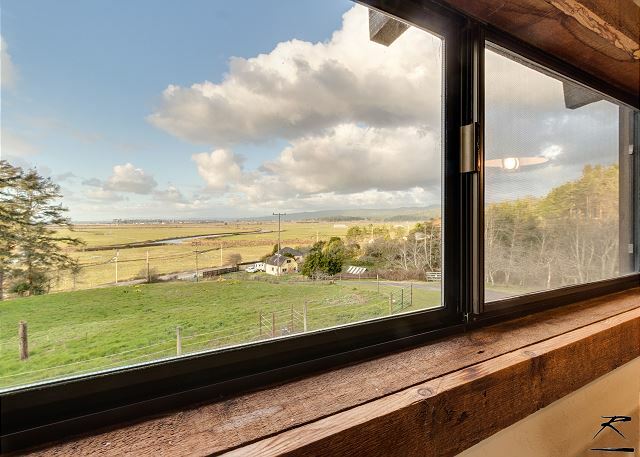 The house has a great view of pasture and ocean shoreline. It’s quiet and relaxing. We would have extended our stay if possible. Great place to stay-very clean! So happy to hear you loved the property, and we'd love to have you back as soon as you can return! This property is very popular with large families, or just large groups wishing to share lodgings. Please look us up at Redwood Coast Vacation Rentals when planning your next trip to the North Coast! I even hestitate to review this, because I would love to keep it all to myself. Cozy,comfotable, just what we were looking for. Love the views, the location...rural yet close to town. Our dogs were happy, the grandkids were happy, and the big people were happy. That's what we love to hear! And don't worry, we'll always find room for you at Big Cabin and Pasture! Please return to the North Coast soon, and when you do, please look us up at Redwood Coast Vacation Rentals when planning that trip. Thanks again for your review, we really appreciate feedback! We rented this wonderful house for 3 days and was pleasantly surprised with everything! Every morning while we enjoyed our breakfast we watched the hummingbirds fly around and were surprised one morning when 3 deer decided to visit. The house is set right outside the town which was great for us. We will definitely rent this location again! So happy to hear you enjoyed your time at Big Cabin with Pasture! There are a lot of deer visiting the property, and a great outdoor deck to sit and enjoy your morning coffee on while spotting them. We'd love to have you back anytime, please look us up at Redwood Coast Vacation Rentals when planning your next trip to the North Coast! Our family enjoyed the comfortable home and the amenities provided. We were able to watch the deer in the morning and the lights from the lighthouse at night. My grandchildren were thrilled with the yard and the beautiful flowers. So happy to hear you loved Big Cabin with Pasture and Bay Views!. It's a really nice, private and very large home perfect for a large family getaway! We would love to have you back soon, so please look us up at Redwood Coast Vacation Rentals when planning your next trip to to the North Coast! And thanks for leaving a review. Our girl scout troop came down to enjoy the Redwoods and stayed at this wonderful house. It was the perfect place - clean, great location, plenty of room for our group. Beautiful view and quiet area. Thank you for taking time to leave a review of Big Cabin with Pasture! We would love to have you back anytime. Sounds like it was a great fit for your group, plenty of room for a large group to spread out and feel comfortable. Thanks again and please look us up at Redwood Coast Vacation Rentals when planning your next trip to the North Coast! Great! So glad to hear you've thoroughly enjoyed your stay at Big Cabin with Pasture. What great views as well! It is really spacious with plenty of space for everyone to spread out and enjoy the property. Thanks again for taking a moment to leave a review of this property. Please look us up at Redwood Coast Vacation Rentals when planning your next trip to the North Coast! We all enjoyed our stay here. The home is spacious, clean, and well maintained. 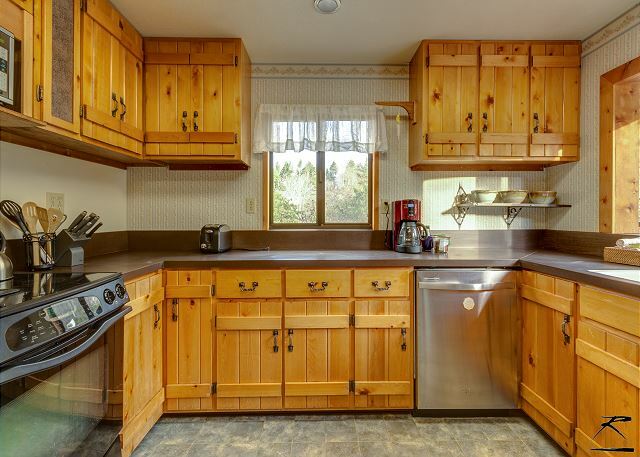 The kitchen was large and well appointed. Beds were comfortable, as was the furniture and large outside areas. Thank you for leaving a review of Big Cabin with Pasture, sounds like it was a perfect fit. 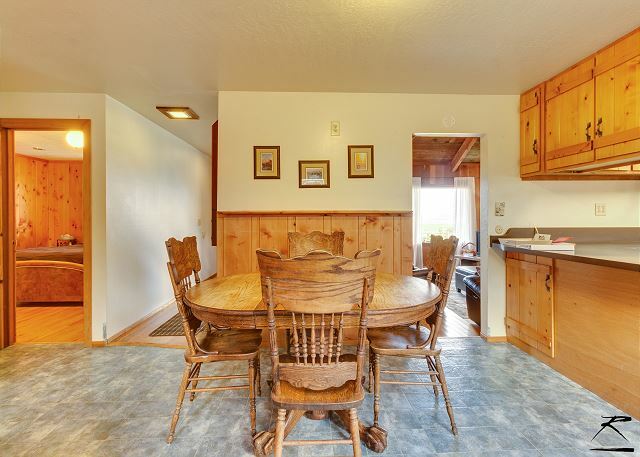 It is perfect for a large family or group of friends looking to stay together. 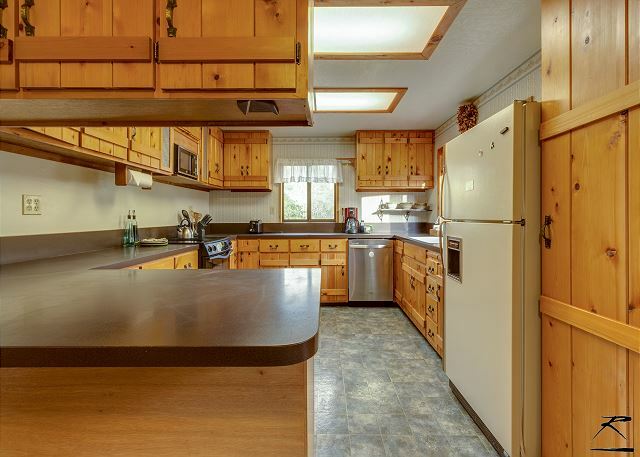 Great kitchen for making large meals, with a BBQ out back for summer grilling. Please look us up at Redwood Coast Vacation Rentals when planning your next trip to the North Coast! My family had a great time at this vacation rentals and we will be using Redwood Coast Vacation Rentals next time we are in the area to hike theRedwood again! Love Humboldt! What a great house to take the family away to on the North Coast! There's tons of room available for everyone to stretch out at the end of a long day of hiking, exploring, surfing, or any of the other activities Humboldt County has to offer. And what an amazing view of Humboldt Bay! Also, I love that it's pet friendly so you can bring along your furriest family member. 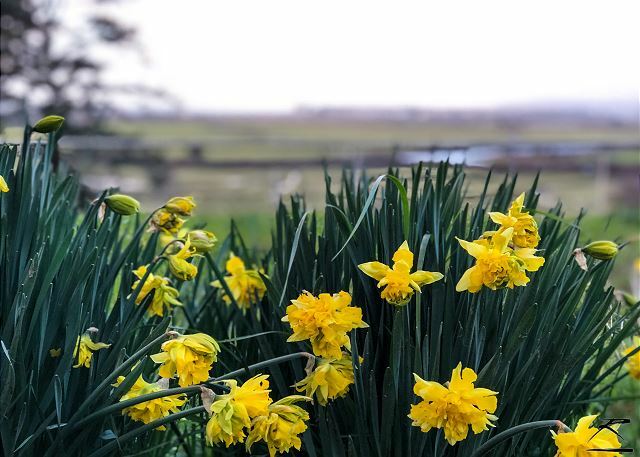 We look forward to seeing you again at Big Cabin with Pasture and Bay Views, please look us up at Redwood Coast Vacation Rentals when planning your next trip to the North Coast. Thanks again for taking time to leave a review, we really appreciate it! We wanted somewhere quiet, to spend a few days relaxing, watching movies, and playing board games. This home was clean and the kitchen was well stocked for our cooking needs. The only negative would be that although we turned up the thermostat, the house never got warm, and the back bedroom was so cold we ended up moving to a smaller bedroom that keep warm. I'm so glad you left some feedback on Big Cabin and Pasture, so we can look into why the house didn't warm up. We've been experiencing very cold weather, but that shouldn't affect the forced air heating, so we will investigate, as we've never had an issue before! Thanks again for taking time to leave a review, we very much appreciate you taking the time to leave your thoughts, and we look forward to having you back soon! My whole family and I went to California for my wedding and the 8 of us stayed in this house. This house comfortably fit all of us. Big Cabin with Pasture and Bay Views always seems to be a big hit, especially with larger gatherings of friends/family, it's so incredibly spacious, with plenty of sleeping accommodations for everyone! And those amazing views of Humboldt Bay! We look forward to having you back again soon, please look us up at Redwood Coast Vacation Rentals when planning your next trip to the North Coast! We stayed three nights in the Big Cabin with Pasture & Bay View and it was great! The home was clean and comfortable and easily slept 9. There was a perfect view of the bay each morning! 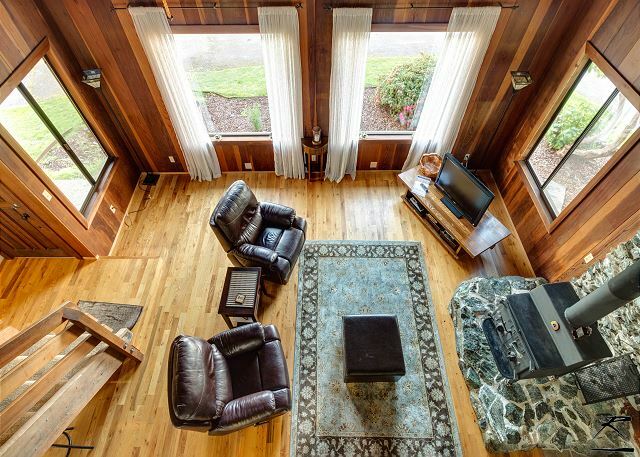 So glad to hear Big Cabin with Pasture & Bay Views was a success for your vacation getaway! We look forward to having you back again soon, please look us up at Redwood Coast Vacation Rentals when booking your next trip to the North Coast! The cabin was everything we had hoped it would be. The Bay View, the wild life in the mornings and the fresh air were the best. The home was very clean. Had everything need to cook and clean with. 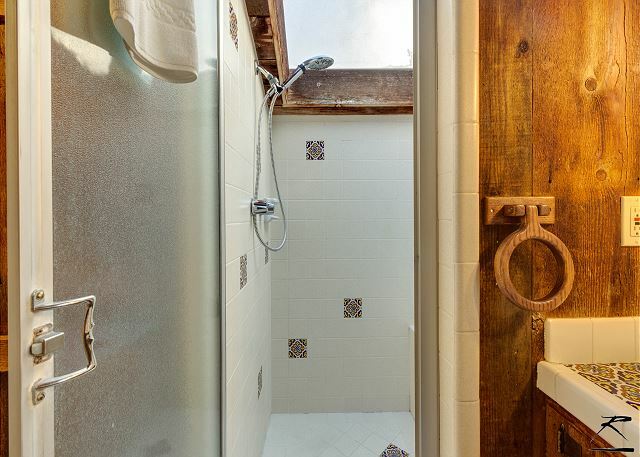 Could use safety bars in the downstairs shower. The furniture was very comfortable including the beds. Thank you so much for coming to stay with us at Big Pasture! We are so pleased you loved it. It is such a perfect family location just outside town at an affordable price. We look forward to your return and thank you for the suggestions. Thank you so much! Everyone loves Big Pasture with Bay Views. We look forward to your return! We had a MOST wonderful stay. House was spacious and clean. We were very comfortable and had more than enough room for everyone to have some space. The view was nice and the cool weather was most welcome. Hope we can visit this venue again SOON! So happy to hear you enjoyed Pasture and it fit your vacation rental needs. It's a perfect house for a large family, or couples wishing to share accommodations with friends, but still have a little privacy. 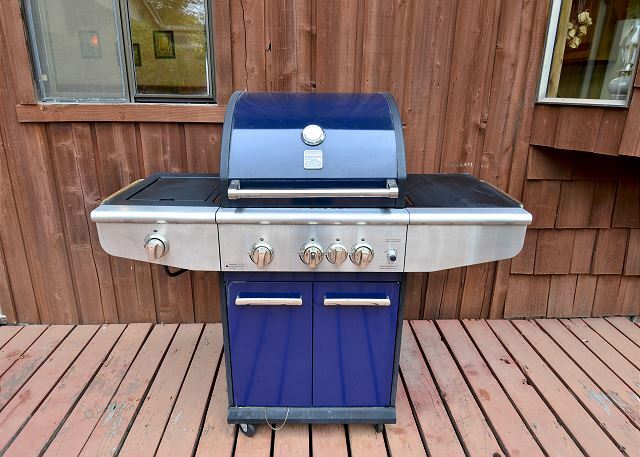 It has wonderful views of Humboldt Bay, and a deck out back for grilling and hanging out. 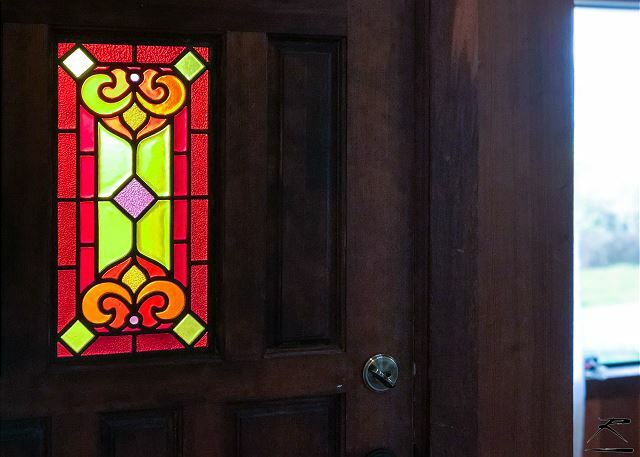 We're very glad to hear you'll be returning to this home again, can't wait to have you back! Thanks for taking the time to leave a review, and please look us up next time your coming north, we at Redwood Coast Vacation Rentals have over 100+ properties,so there's a place for everyone! Rental was very clean and quiet, with great views. The rooms were large, with comfortable beds with plenty of extra linens and pillows. We stayed with my four kids (8-13) and my parents. There was plenty of room for all. It was a great place for a large family visit. This house was perfect for our family reunion for 7 people. It had plenty of room space and a huge kitchen! The outdoor deck and car ports when great! When we are in the area again we'll be renting it again! We are so happy to hear this John! 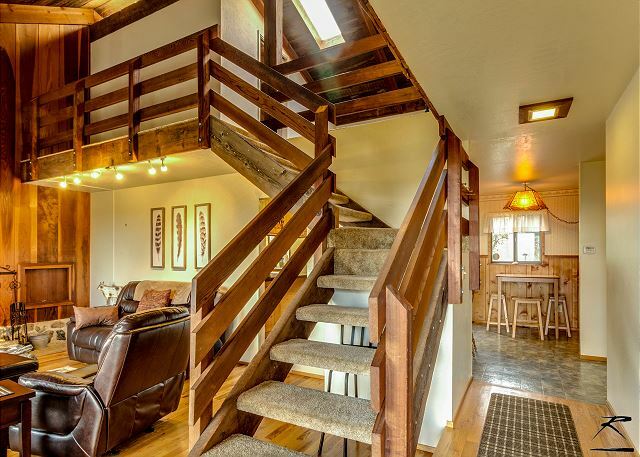 Big Cabin and Pasture is one of our larger homes, making it perfect for big get-togethers or large family getaways with a large back deck for barbecuing and socializing. 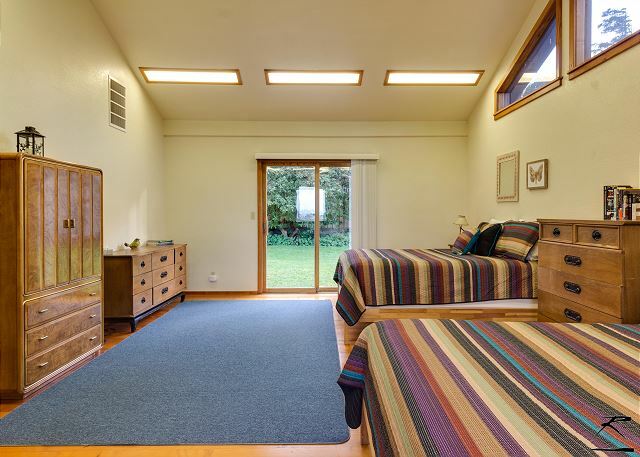 Plenty of beds as well as a futon that can convert to extra sleeping space. And what amazing views from the living room windows! Thanks again for taking the time to leave us a review, and we look forward to your return! Please be sure to check out our other properties on our website in case you have friends looking for accommodations. We currently have over 100 properties to choose from, so there's something for everyone! This house was a great place to stay for HSU Graduation with our entire family. 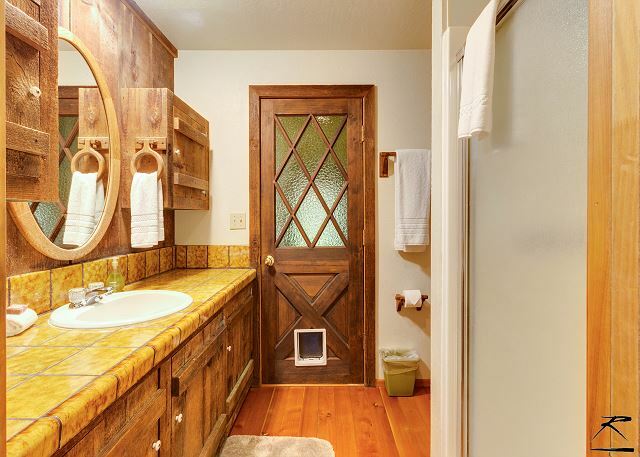 The rustic style was perfect and the house was spacious and cozy. The view was absolutely amazing. Thank you! Big pasture is the perfect spot for a visit to the Redwood Coast. It's Quiet, clean, spacious, and has great views! We look forward to your return to the Redwood Coast! 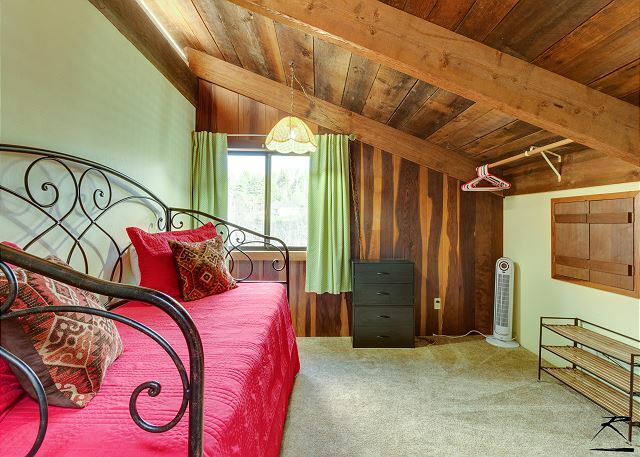 We have over 100 accommodations to choose from at Redwood Coast Vacation Rentals. Sounds like this was the perfect fit for you! We had such an amazing stay at our rental cabin! I would highly recommend this property to anyone! 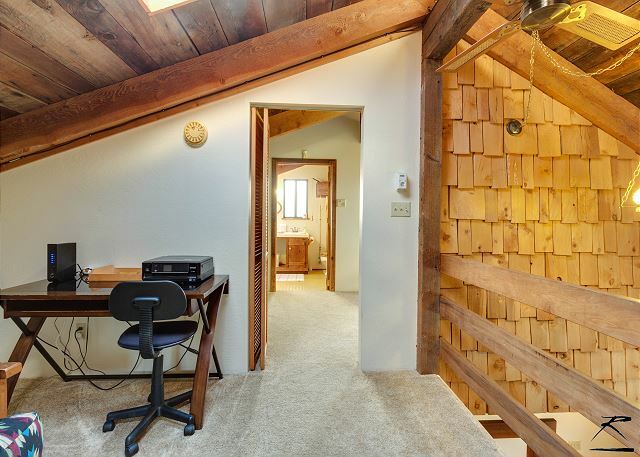 Great location, clean, cozy and secluded! Thank you! Big Pasture is really great property with awesome views at a great price. Thanks for choosing Redwood Coast Vacation Rentals, a 100+ accommodation company! Thank you so much! It was so nice having you as our guest at Big Pasture. This place is so nice, quiet, affordable with gorgeous views. With over 100 accommodations at Redwood Coast Vacation Rentals, we are so pleased to hear that we found the best fit for you. We look forward to your return. Fantastic. The house served us as needed; bedrooms full, kitchen large, lots of social space, nice views. It's in a quiet spot, grounds well kept, plenty of parking. The only amenity I missed was a stereo. We also had a lot of fun (really)figuring out where the light switches were in two places. Oh, and since we were there on Easter, great place for an Easter egg hunt. The property is easy to miss the first time you're going, just pay attention to the address on the mail box. We're definitely coming back next year, the location could not have been better for us. Thanks RCVR!! Oh, Thank you! It was so nice having you as our guest at Big Pasture! We are so pleased to hear you loved our home. It really is a great house with great views at a great price. 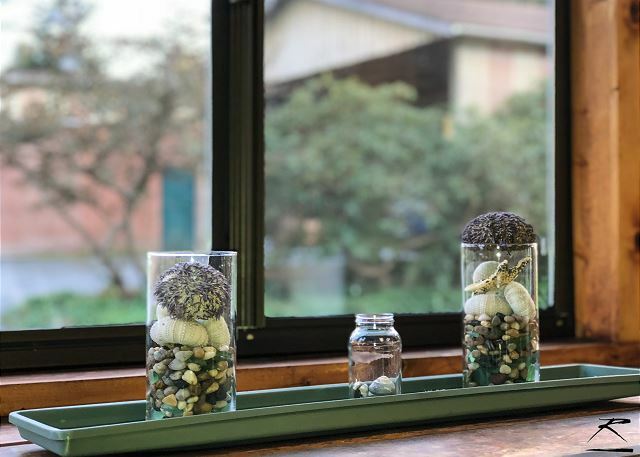 We know there are many choices at Redwood Coast Vacation Rental, we are so glad that this place was perfect for you and look forward to accommodating you at Big Pasture next year! Centrally located to Eureka and HSU while visiting our son at school and hiking the Redwoods. Will rent from RCVR again. Great staff! Thank you! We look forward to your return!! The pictures online doesn't represent this place well. The house is situated on top of a hill overlooking the medows and the bay. The house is huge and can accommodate a very large group. The house was clean and the decorations and seating inside made us feel like we were at a upscale cabin. There is everything you need inside with lots of room to sleep. There were games for the kids and movies to watch. The management group was so sweet, they left cookies and a bottle of local beer for us. We definitely will rent this property again. Thank you! We are so glad you loved Big Pasture! This place is really a gem. With beautiful views, plenty of space, secluded and quiet setting, and great price, it tends to please! Redwood Coast Vacation Rentals offers many accommodations along the coast. We are happy to hear that Big Pasture was perfect for you! We started our California vacation by staying in the California redwood area. The house had a nice view and was somewhat close to everything, although you had to go through town to get to the highway. The house was well equiped and clean on arrival. The only issues we had were the dead animal smell in one bedroom ( rendering it useless) and the wifi network had been changed but not upgraded on instructions. I contacted the property managment people and they were able tohelp over the phone with the wifi issue but unfortunately they never could correct the awful smell. Luckily an open window in that room kept the smell from the whole house. Overall a good experience. Thank you so much for staying with us and for the feedback. Luckily, the smell is gone! Big Pasture is such a nice home, everyone just loves it. Thank you again and we look forward to accommodating you in the future. This house was perfect for our stay! Just outside of downtown and we really felt like we were in our own little world. The house was gorgeous and rustic and just what we wanted! Beds were comfortable and there were plenty of blankets. The house had so much room! The showers were amazing as well! Only downfalls were that we planned our meals around the property having a BBQ and the BBQ didn't work. The wifi wasn't working very well, and it seemed like there were a few dirty things left under the couches. We stayed at Big Cabin from 11/10 to 11/14, 2016. It was not enough time to fully enjoy this house and southern Humboldt County. The views were great and the easy access to Murphy's Market was perfect. We usually stay in Trinidad but this is our new favorite. The house was comfortable and offered several places to find a spot to relax and enjoy the views. 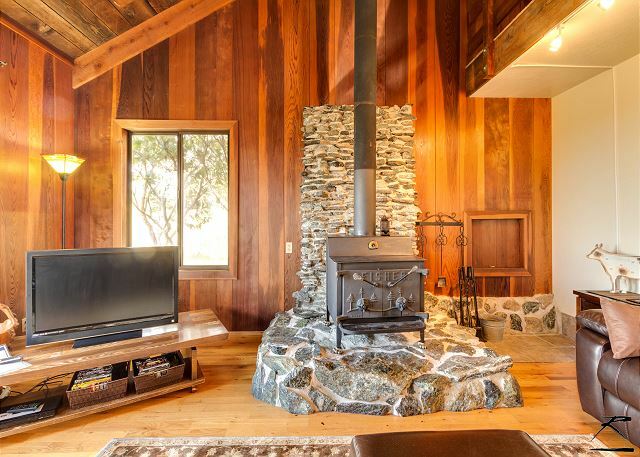 The house is rustic but modern where you need it to be.The wood stove was really great (I wanted to take it home. )After spending time roaming the beaches and foothills it was really a treat to fire off the stove and feel the warmth. It fit the house perfectly.We had a neighborhood buck spending nights on the long driveway.Our dog was very interested in that during his last call walk each night. All in all, hope to stay here again and enjoy more of what this house has to offer. Great views and so comfortable. Very peaceful and beautiful location just like it is described. Met friends from southern CA. There was plenty of space for us to visit and have our own private areas too. We would definitely return in the future. Every year we come to Eureka for a dog agility trial. This is the second year we have stayed in this house. Its perfect for 2 couples and several dogs (yard is not fenced, but our dogs do not wander). The best part is its about 3 minutes from the trial site. 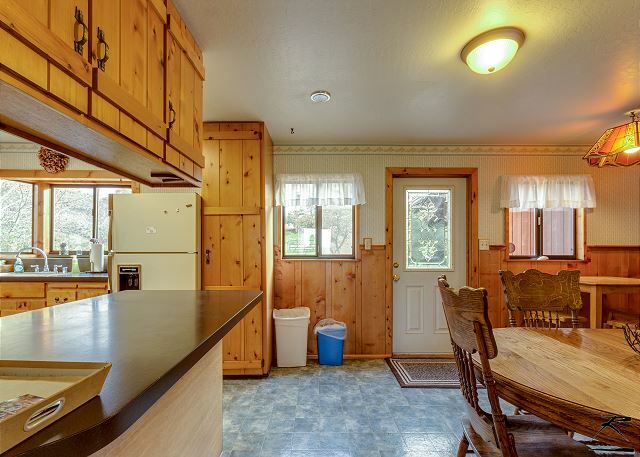 The house is clean and comfortable, the kitchen is well stocked, including a BBQ on the deck. The house was a wonderful find. It had a great view but was close to everything. We would stay here again. Our stay in Eureka was wonderful. The house was amazing! It met every one of our expectations. We had seven people in our group and it was perfect. We could have had one or two more with us. It was clean and well stocked with linens, the kitchen was good sized and accommodated all of us easily. The yard and view were awesome. The Big Pasture house met all of our expectations. The house was perfect for my family. The kids had a great time in the yard and with their own bedrooms. There is a little road noise, but nothing major. It was a little hard to find (passed right by it), but easy once you find it the first time. We enjoyed Old Town Eureka and how it seemed to be right in the middle of the places we wanted to explore. My family and I attended a wedding in Eureka. We decided to rent this house rather than two hotel rooms. The house was spacious and well furnished. Savemart is located less than 10 minutes away. We were able to shop for groceries and cook at the house. It was really nice having the washer and drier. The iron was also useful for getting ready for the event. My niece taught her grandma how to play uno with the games supplied at the house. The welcoming treats were lovely. We woke up to two deer in the backyard! It's a quite and relaxing location. Everyone enjoyed the stay. We would love to visit again. Great place for three sets of couples. Enjoyed using the grill, well supplied kitchen, but sadly no matches for the fireplace! Loved it anyway for a stopover between the Redwoods and Crater Lake. The house was very nice. The upstairs shower was amazing. We arrived to find beer in the fridge too. For what it's worth this was a wonderful choice for our family. This place was wonderful. The views are the best. Room enough for 6 adults a toddler and 3 small dogs. Lots of parking for our three vehicles. 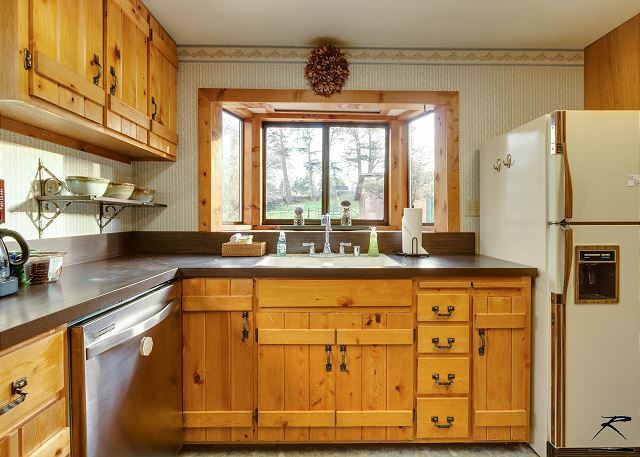 Large kitchen. Lots of room to spread out if u want space or come together and play games. We had a terrific time and will come again. Flowers in front are beautiful. Many photo opportunities outside. Especially the sheds porch out front. Definitely a good find! Wonderful property and we will be using it again! It had everything we needed. House was spacious and our party definitely appreciated the privacy it provided for each of us. The only problem we all agreed on was that the floors should have been swept and mopped prior to our arrival. Otherwise, we really enjoyed it! Awesome Birthday Weekend at Big Pasture!! We LOVED this house!! We usually come to Eureka once a year and this was our first time renting a house. We had 2 couples and 3 dogs in the house and it was the perfect size! The views were insanely beautiful. Heat worked well and the house was super clean. Everyone just loves this house! Thank you for being our guest at Big Pasture. We look forward to your return!! Loved the house and the location. Tons of parking and very private and secluded. Will definitely be staying again. Thank you, Thank You! Big Pasture is definitely a crowd pleaser, people love it! we look forward to your return to the Redwood Coast! Needed a place for my extended family to stay while visiting me here in Humboldt. Couldn't have asked for a better place! Everyone was very pleased with the location. Thank you, Thank you! We look forward to your return! Nice bedrooms, spacious living room, functional kitchen. Safeway only a few miles away. House is on a hill with nice views away from neighbors. Saw deer in the early evening. Plenty of parking on paved driveway. Area is totally dark at night, hard to see where to turn from Myrtle dr but lighting around home is good. Wifi was good and great to have crockpot. Thank you so much!! Big Pasture is such a peaceful and rural setting yet minutes away from town. It was so nice meeting you while your we here and such a pleasure to have you as our guest. We look forward to your return to the Redwood Coast! This house was perfect for 2 couples and our dogs attending a nearby dog performance event. Kitchen is large and well-equipped, so we didn't need to find a restaurant at the end of the long days at the fairgrouds. Property is not fully fenced, but we had no problems keeping the dogs "in bounds". Bedrooms are large, plenty of room for the dogs' sleeping crates. 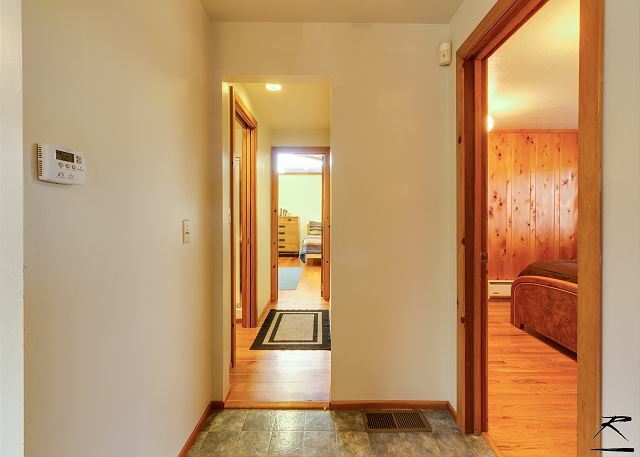 Bedrooms and bathrooms on 2 levels provide good separation of the 2 families. Views are gorgeous, very quiet, and we had several deer cross the property close to the house. Thanks Susan! It was so nice meeting you and the family! We are looking forward to your return to the return to the Redwood Coast. We happy to hear the property worked out perfect for you. Very nice place with lots of room. Full kitchen stocked with all basics. Wonderful view and access to the city. Would definitely rent this place again. Very Satisfied. Thank you for coming to stay with us at Big Cabin with Pasture! Everyone just loves this accommodation so it is no surprise that you loved it too! 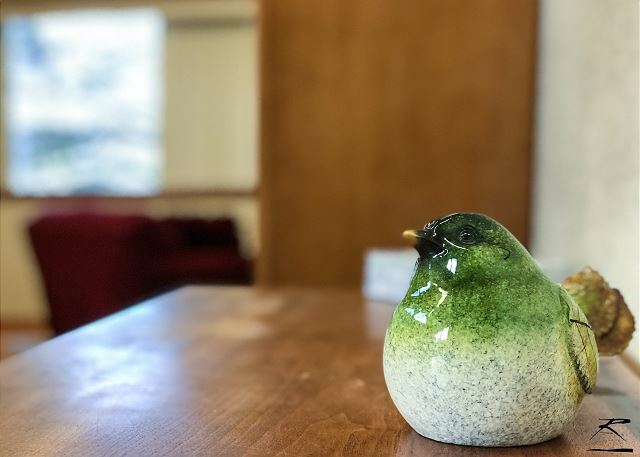 We look forward to your return to the Redwood Coast, and we hope you plan to choose one of our 75+ accommodations when you return. It was a wonderful large and spacious home to have a family gathering. We were very comfortable and felt nature all around us. Fantastic views! There were a total of 8 adults on our trip an there was enough room for all of us to have our own space and time together. There was a beautiful yard and enough deck space to have yard games. There is a nice driveway and a road down the highway with calming views. (A couple of us took morning jogs down that way and it was wonderful!! Redwoods and horses. Very nice.) The kitchen was stocked with everything we needed to have a nice breakfast together (we bought the groceries of course) but there were no worries about dishes or pans. Overall everyone loved with property and we would go back again!!! There were also deer in our yard in the evening and morning. Very peaceful! This is a great place to stay, relax, explore, and have fun. 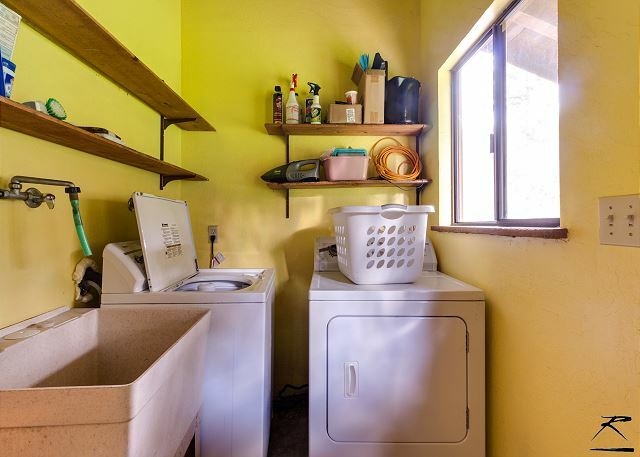 It is comfortable and well stocked with many of the things you might need during your stay. 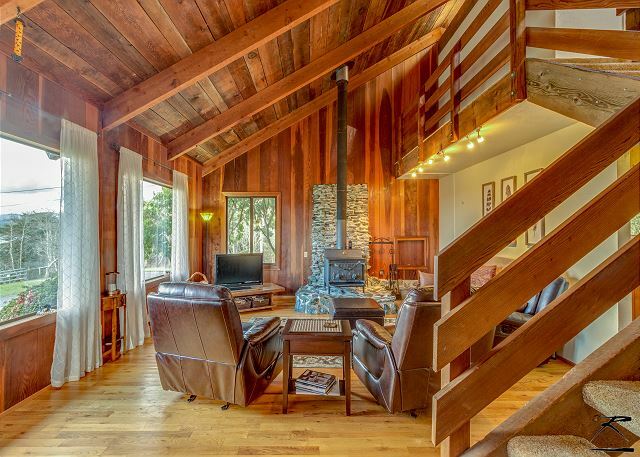 Close to the redwoods and visited by wildlife, this is a perfect getaway for everyone! Big Pasture is a great place for a semi-large group. Plenty of area within the home to sprawl out and plenty of room for parking and enjoying the outside. Never feel cramped here! Please book again with Redwood Coast Vacation Rentals and if you ever have a smaller group please check out any of our 60+ properties, something available for everyone's needs! 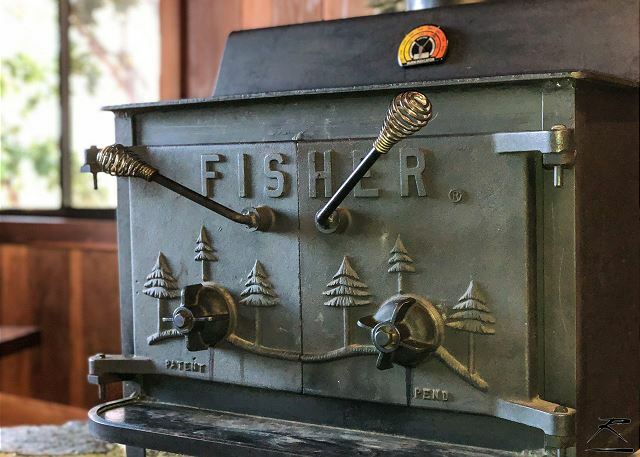 Perfect for a Redwoods Getaway! This wonderful large home comfortably accommodated our 5 adults who all like to sleep in separate beds. We loved the central location and easy access to Hwy 101 and grocery shopping. It is only a 30 minute drive in either direction to reach the spectacular Redwood Parks. On top of a hill there is a bit of traffic noise, but the views are very pretty. Cleaning and other fees seemed high. Otherwise we very much recommend staying here. We have stayed earlier in vacation homes at other places, but this was the best vacation home so far. It is located at a very convinient location in Eureka. Beautiful scenic place in front of the house.only issue was lights were not working near the bbq grill. Thanks for letting us know about the outside lights! We will get that fixed right away! And thank you for choosing Redwood Coast Vacation Rentals and hope to see you again!